Analysis: Back in January, Smith underwent surgery to correct a minor sports hernia injury that was initially believed to require 4-to-6 weeks to heal. Three months later, it appears Smith is back on the field and ready to go. While the injury wasn't believed to be overly serious in the first place, the 26-year-old undoubtedly will benefit from a full offseason uninhibited by any sort of rehab. 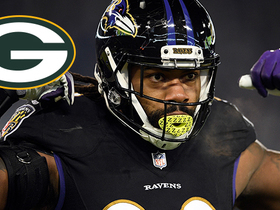 Smith (sports hernia) is signing with Green Bay, Ian Rapoport of NFL Network reports. Smith had sports hernia surgery in January and is expected to need 4-to-6 weeks for recovery, Jamison Hensley of ESPN.com reports. 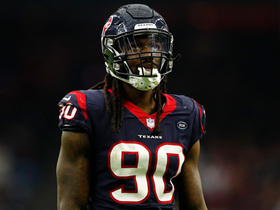 Smith recorded 45 tackles (26 solo), 8.5 sacks, two passes defensed and one forced fumble across 16 games in the 2018 season. Analysis: Smith led the Ravens in sacks in 2018, a crowning achievement for one of the league's most feared defenses. He played in 67 percent of the defensive snaps, a total that only trailed Terrell Suggs and C.J. Mosley. 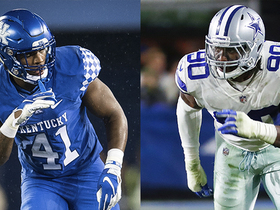 Suggs, Mosley and Smith are all slated to enter free agency this offseason in addition to Patrick Onwuasor. It's highly unlikely the Ravens will be able to retain all four linebackers, meaning Smith could find a potential suitor elsewhere. Smith recorded five tackles (four solo), including 1.5 sacks in Saturday's win over the Chargers. Analysis: Smith is enjoying his best season as a professional. He entered 2018 with 10 sacks in his first-three seasons and has gone on to post 8.5 sacks through 15 games this year. He's seen a good portion of snaps despite being a backup to Terrell Suggs, and he'll likely continue to provide quality depth behind the veteran pass rusher as the regular season comes to a close and the playoffs begin. Smith racked up three sacks and a forced fumble in Sunday's win over the Titans and finished with five total tackles. 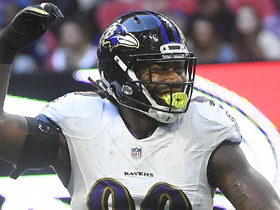 Analysis: It was a breakout performance for Smith, who led the charge on what turned out to be a record-setting day for the franchise as the Ravens compiled 11 sacks. What makes Smith's day all the more impressive is that he was able to make that level of impact on just 21 snaps. Smith now has a team-high 5.5 sacks and is beginning to establish himself as a force off the edge. Smith (hamstring) is listed as active for Sunday's game against the Browns. Analysis: Smith returned to practice in a limited capacity Friday, so he'll play through the hamstring issue as he provides depth at outside linebacker behind Terrell Suggs and Matt Judon. Smith (hamstring) carries a questionable tag ahead of Sunday's matchup against the Browns. Analysis: Smith didn't practice Thursday but was able to get in a limited practice Friday. The fact that Smith was able to squeeze in at least a limited session at the end of the week bodes well for his status Sunday, but his situation still warrants the questionable tag. Smith (hamstring) was a non-participant in Thursday's practice. Analysis: Smith was a full participant in practice to begin the week, but he appears to have suffered a hamstring injury. The severity of the rotational linebacker's injury remains undisclosed, so Smith should be considered questionable to suit up against the Browns on Sunday. Smith recorded two tackles (one solo) and a sack across 37 defensive reps in Sunday's win over the Broncos. Analysis: Smith has been a consistent part of the Ravens' linebacking corps this season, playing in 54 percent of the team's defensive reps Sunday. 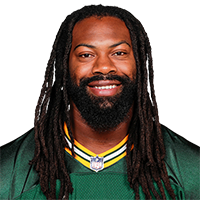 He has already recorded a third of his season total in tackles from last season and should set a new season high for sacks at this rate as well. Smith had four tackles (three solo) and a sack in Saturday's win over the Colts. Analysis: The stat-line is arguably Smith's best one of the season in 13 games, which provides a solid indication of his current IDP value. The 25-year-old does have a sack in two consecutive games, but his season total 22 total tackles and 3.5 sacks should keep him off the IDP radar in Week 17. Smith compiled one solo tackle, one sack and one forced fumble Sunday against the Browns. Analysis: Smith logged 49 of 64 defensive snaps Sunday and was able to make the most of it. The third-year pro isn't a starter yet, so he still doesn't log enough time to be a consistent IDP threat, but Sunday's shows promise for his long-term potential. Smith (shoulder) is active Sunday against the Browns. Analysis: Smith missed last week's matchup against Pittsburgh due to the injury, but after logging full practice sessions both Thursday and Friday, he'll be ready to go Week 15. He doesn't rack up a ton of tackles but has seen the field anywhere from 25 to 50 snaps when healthy each game since Week 3. Smith (shoulder) was a full participant in practice Thursday. Analysis: Smith sat out of last week's loss to the Steelers due to a shoulder injury but his full participation means he'll likely be ready for Sunday's game against the Browns. Smith (shoulder) is officially inactive for Sunday night's game against the Steelers. Analysis: Smith was listed as doubtful after sitting out practice this week, so this was to be expected. Tyus Bowser and Tim Williams should serve as reserve outside linebackers for the Ravens on Sunday. Smith (shoulder) is listed as doubtful for Sunday's game against the Steelers. Analysis: Smith didn't practice all week due to the shoulder injury, so there's no reason to be optimistic about his prospects of suiting up in Week 14. 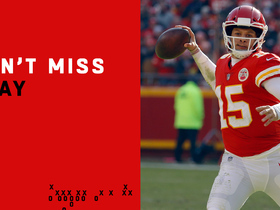 Late in the fourth quarter of a Week 14 game against the Baltimore Ravens, Kansas City Chiefs quarterback Patrick Mahomes rolls to his left and launches a 48-yard completion to wide receiver Tyreek Hill on fourth-and-9. 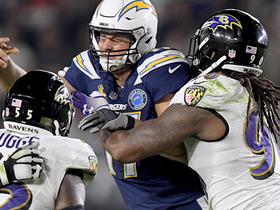 Baltimore Ravens linebacker Za'Darius Smith delivers a powerful sack to Los Angeles Chargers quarterback Philip Rivers for a loss of 11 yards. 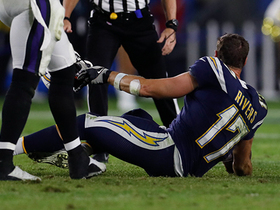 The Baltimore Ravens congest the pocket to sack Los Angeles Chargers quarterback Philip Rivers for a loss of 7 yards. 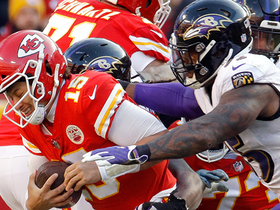 Baltimore Ravens defensive linemen Terrell Suggs, Za'Darius Smith combine for clutch third-down sack of Patrick Mahomes. Baltimore Ravens linebacker Za'Darius Smith sacks Atlanta Falcons quarterback Matt Ryan. 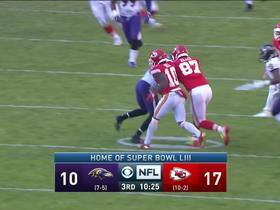 Pittsburgh Steeleers rookie running back James Conner glides 25 yards through Ravens' defense.